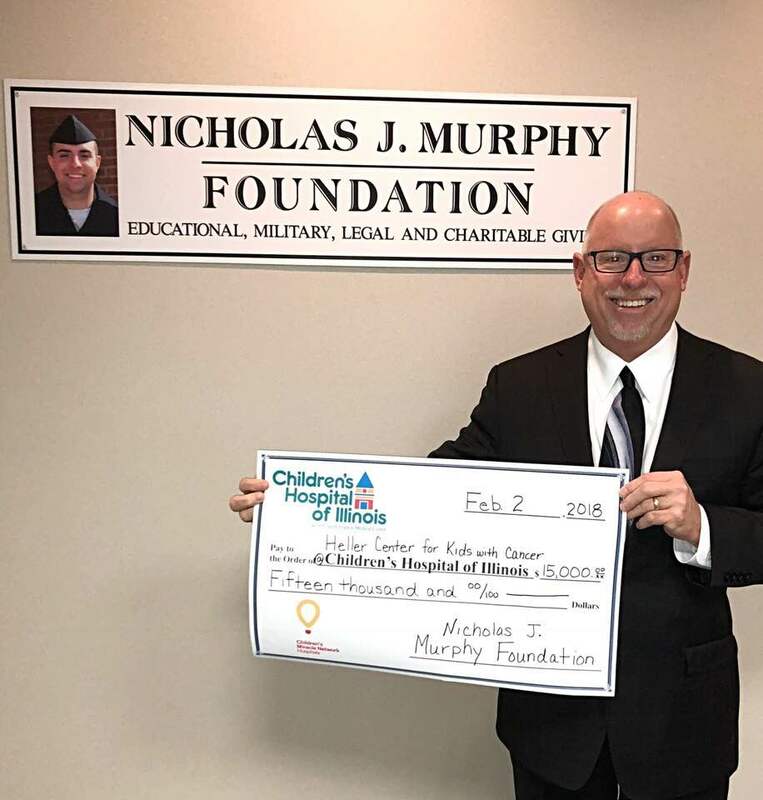 The Nicholas J. Murphy Foundation is proud to support the Children’s Hospital of Illinois and the Heller Center for Kids with Cancer with our $15,000 donation. Thank you to all who continue to support us so we can support these great causes. Pediatric cancer is an ugly disease. The scars, both physical and emotional, are deep and can last a lifetime. Today, roughly 80% of kids survive their cancer diagnosis. It’s amazing! But it is only half the story. It’s no longer enough to just fight the cancer cells. The Heller Center for Kids with Cancer is dedicated to making sure these children and families don’t just survive, but thrive. The Center helps kids develop coping skills as they adjust to life with cancer, educate teachers and students at school about a patient’s diagnosis, provide parent mentorship along with many other amazing programs. The Nicholas J. Murphy Foundation is proud to support this center because no child or family in our community should face the challenges of cancer alone.